Okay, that title sounds disgusting. What I mean is, I made a goulash recipe that called for the addition of water and flour to thicken it – something that I usually avoid (explaining all the “soupy” meals I foist on my hubby) because it scares me and because I personally cannot abide flour lumps in anything. But it worked! It really, really worked. Hey, I’m getting (okay gotten) old and it doesn’t take much to make for a good day! 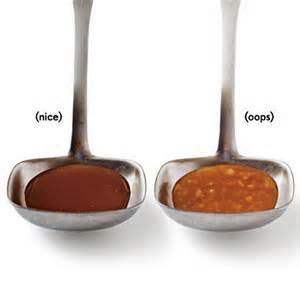 May all your future gravy be lumpless. May 2, 2015 in Food.